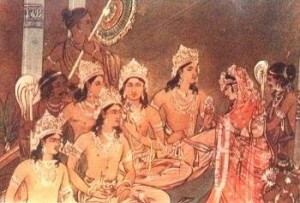 After passing Drupad’s test, Arjuna wins Draupadi as his bride. But when the Pandavas arrive at their home, their mother Kunti asks them to do something that changes their lives for ever. Listen to this amazing episode below.